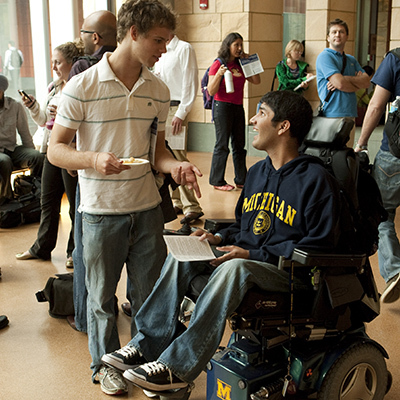 Do you know that U-M was ranked as the best disability-friendly college or university in the U.S. by the College Choice 2016 rankings? We are committed to giving students with disabilities an equal opportunity to succeed at the university. How can your student access these top-rated support services and programming? The first step is for students to register with SSD. With the help of SSD, your student will have every opportunity for success at U-M! For more information, see the SSD website, call 734-763-3000 or email ssdoffice@umich.edu.